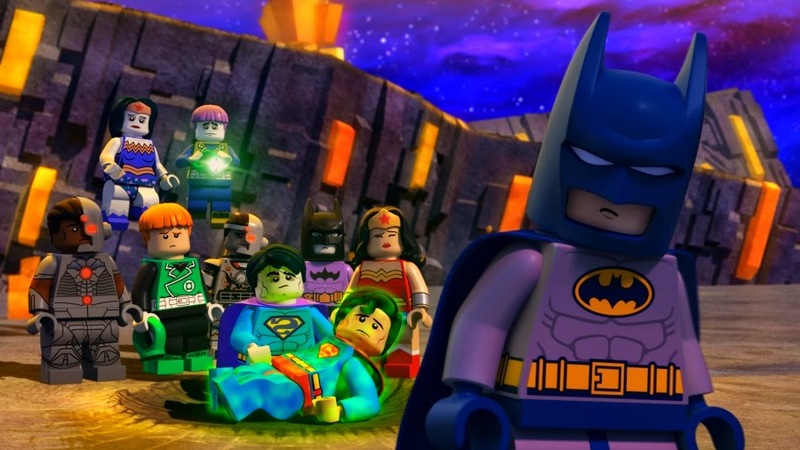 Justice League vs Bizarro League is Lego's latest DC animated film featuring the super heroes. It is always amazing to see one of their films as we see the toys come to life in a manner we only dream about when we play with them. The animation in Justice League vs Bizarro is no different with stunning animation, witty dialogue and a decent story that will entertain adults and kids. The movie starts off with us seeing Superman shipping off Bizarro to his own planet so that he doesn't cause destruction on Earth. With his own "Metropolis" and citizens made of rocks, he fits in right at home. But from there the story kinds of drifts a little as the animators try to shove in as many character sets as they can to sell to us in stores. Things only pick up again as in this movie Batman has just joined the Justice League with his skepticism of Superman an underlying theme throughout the film. When Bizarro returns to create a Justice League of his own, the humor level is taken up a notch, and the story finally takes shape as we get Apokolips's resident villain. 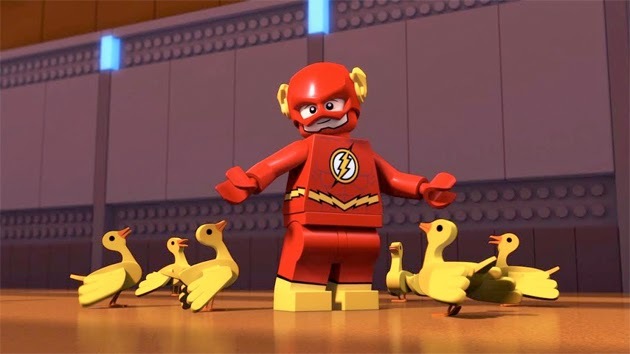 What you will love about the film is the humor between the characters and the way, like in The Lego Movie do the characters acknowledge that they and the environment they are in are made up of bricks. The way Batman mutters about Superman to himself, to the recurring joke of Superman's twin Bizarro, the jokes are simple but still amusing. You will also love the amount of characters that are featured in the film even if it is just a small cameo like Hawkman and Plastic Man is still pretty cool. What I didn't like is the lack of contiguity with Bizarro's backward speak. As well, porting over Teen Titans Go! 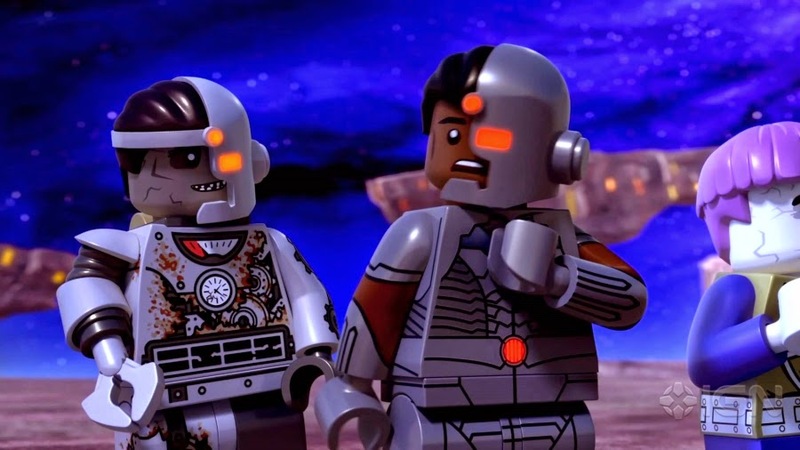 version of Cyborg played by his voice actor Khary Payton, takes the character a step back in progress from The New 52 DC has been promoting. It may appeal to the younger kids, but confusing for those that watched Throne of Atlantis and the other recent new 52 DC films. Their choice of Guy Gardner as Green Lantern is a great one but again messes with those that are used to Hal Jordan in the new 52. Overall, I would highly recommend the film especially if you have kids that love Lego and super heroes. The film is highly entertaining and suitable for the entire family. 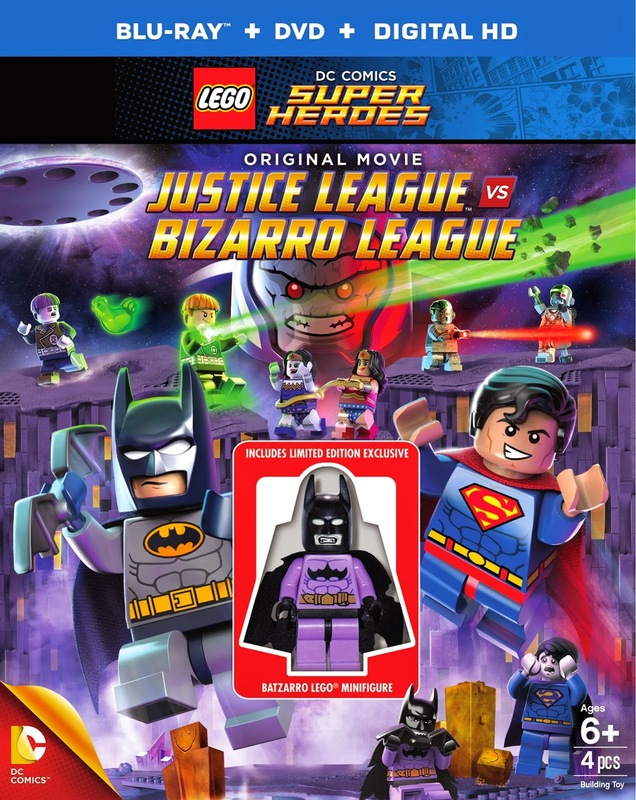 The DVD version which I was able to review contains load of bonuses like bloopers and a TV special that is approximately 23 minutes alone showing the first meeting between Lego Batman and Superman. As well with the Blu-Ray version you get an exclusive Batzarro figure you won't be able to find anywhere else. If you are wondering though if there are any after credit scenes, the answer is weirdly no. Instead they chose to put it right before, showing Lex Luthor with a certain shape shifting alien.